The Limerick Strand Hotel 6pm. Don’t miss the opportunity to meet, greet and support Aer Lingus trade partners from all over the USA at the road show of the year. Upon receipt of your invitation register with the Aer Lingus trade team so you don’t miss the American taster of the year. 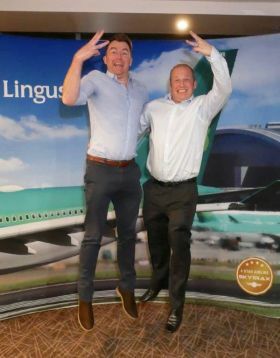 The Aer Lingus team brings you a real opportunity to strike new partnerships with key suppliers from all over the USA and you may win an Aer Lingus prize or two, not to mention the endless spot prizes from our trade partners along the way.